Every athletic program or performance facility has a culture. Whether you know it or not, everyday you're cultivating a culture. You could be growing an excellent culture. One focused on hard work, dedication and tradition. In that case, amazing things are probably happening inside of what you're doing. They grow as athletes and human beings. You attract great leaders, and your program becomes more attractive as a whole to the community. For many programs, the culture goes the opposite direction. Why? Because there is no intentional focus on culture. It's just a program or facility with coaches, athletes, weights and programming. No roadmap. In some cases, the culture is hindered by outside factors, but for the most part, it starts with the powers at be... you reading this article. Culture is invisible but determines so much. You can’t see it, but it defines who you are, creates a perception, a feeling, a way of being inside of your four walls. A bad culture will consistently undermine your ability to reach your true potential! Peter Drucker said it best when he said 'culture eats strategy for breakfast.' In athletic terms, he's saying, stop focusing so much on the X's and O's and start focusing on building a tradition. I said this in a previous article, but I'll quote it again: Think about a brand you're loyal to. Now think why you're loyal to them. It's the culture. If it's the coffee shop down the street, you love the coffee, the atmosphere and how they actually spell your name correctly. If it's a shoe, you like how they fit and how they make you feel. When you truly dig to the depths of why you are loyal to someone or something, it's the culture that creates the experience that keeps you coming back. So the question becomes: how do you create an amazing culture? You could have the most credentials, the best equipment, the best athletes, but until your culture is top notch, you won't reach your true potential. 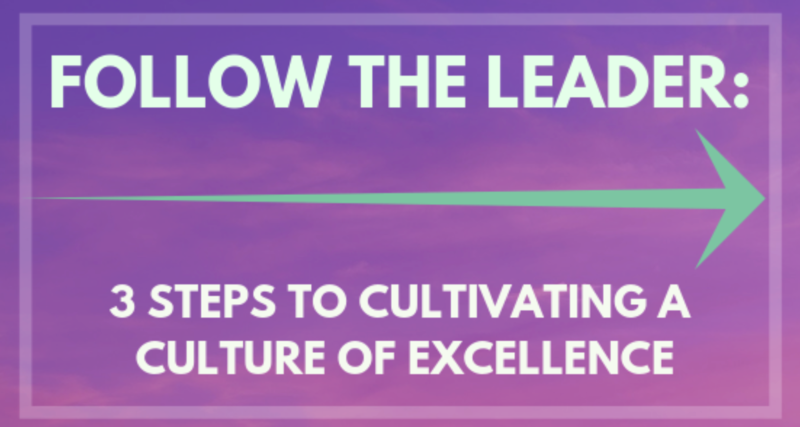 What follows are three simple aspects to focus on inside of your walk to define and cultivate steps to a culture of excellence. Building culture and tradition is a must at the collegiate level, and Keith Belton, knows how to do it with the best of them. You don't just have a weight room or facility culture, you have a community culture. A culture that permieates throughout the lives of the athletes you're serving. As you're building a culture and tradition, it's key to build that continuity among everyone involved in the process. "The most important factor in building an excellent culture is continuity. Continuity amongst football staff, administration, student athletes, academics, dining hall, training room, nutritionist, janitorial services are vital in establishing a built to last culture." The key to this is that you bring in people that are bought into what you believe, where your vision lies and the mission of the organization. "Everyone in the organization has to be Intentional in their efforts in supporting the team mission." This allows your athletes to be surrounded by the culture in the weight room and everywhere else so that the culture permeates throughout. "The absence of continuity will result in insubordination. Insubordinates will negatively effect the culture due to their lack of honor for the leadership set in place and the overall mission of the program." Here’s a sobering reality for all of us who lead: your program will only work as hard as you do. Expecting a program to have a phenomenal culture when its leader is sub par is like expecting an athlete to run a marathon with a missing heart. It’s not possible. Any conversation about culture starts by you looking in the mirror. Coach Durant Says it this way. "Your message has to be intentional and sustainable. You have to coach and stress hard work. As a leader, you need to embody the things you want your organization to embody." If you want your athletes to push, you've got to push them, but it's important that the athletes know that you wouldn't ask them to do anything you wouldn't do yourself. They have to know that you're working hard to make sure they're the best and in return you'll have a culture of hard work and dedication. "I truly believe in my heart of hearts that culture starts at the top and is lead from the front. Kids have to know you care and want the best for them. Over my 21 years in college athletics, I've really tried to show them how I care, through everything, the message hasn't changed and the amount of effort I put in my coaching and how hard I coach them hasn't either." Understanding your principles is key. It's important to have those in place when building a culture. Understanding and stressing the principles is probably the most important aspect of building a culture of excellence. Each of these steps to creating culture explains the expectations of the program as a whole. The key is to know what your principles are and never waiver from them. This will help you figure out why some people embody your mission, vision, strategy and overall culture and why some don't. If you can pin point and constantly focus on your values and principles, the culture will follow. What are you doing day in and day out to cultivate a culture of excellence, to enhance your athlete experience and increase the impact you have on the athletes you serve?